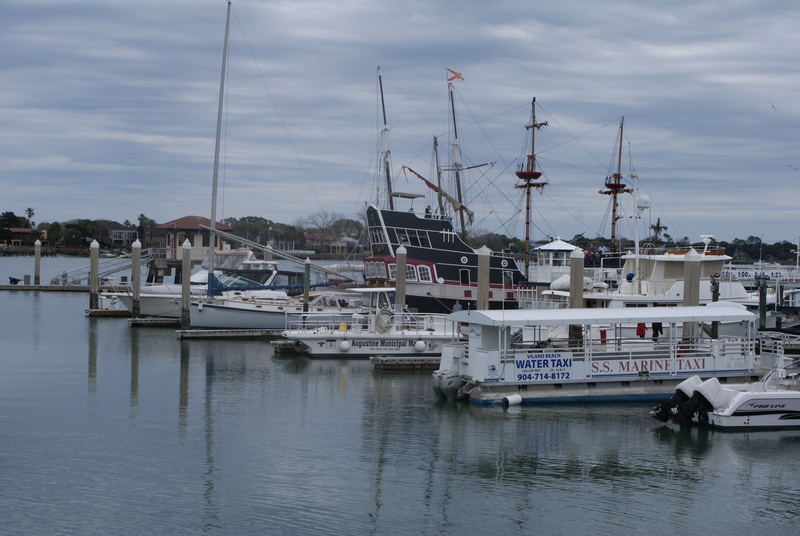 What is a visit to St. Augustine without a chance to get on the water and see some of the sea life that makes this area so spectacular? On our trip to St. Augustine we had the chance to meet up with Zach McKenna the owner of St. Augustine Eco Tours. An environmentalist at heart, I wanted to learn more about the sea life and was fascinated to learn not only does Zach offer special tours with six people maximum along with a knowledgeable guide to see the estuaries around St. Augustine, but he is also conducting a population study of bottlenose dolphins in the St. Augustine area. Kyle also explained that “visiting” dolphins come into the area, socialize, then move on. “The females live to be 50-60 years and the males 45 – 50 years,” Kyle said. Kyle shared the history of the Matanzas Bay area referring to the early Timucuan Indians that once were plentiful in the area before the arrival of the Spanish and British. These Native Americans lived in Northeast and North Central Florida and southeast Georgia. Kyle pointed out a hammock where shell deposits indicated the Indians once lived. Over the years through both slaughter and death from European diseases they couldn’t fight, they disappeared. We learned that the bay of St. Augustine is a tide line inlet that was created in 1942 and is one of the few leisure ports around. On our two hour tour we saw dolphins and even caught a glimpse of a sea turtle. We saw the nest of an Eagle and several shorebirds. For a Midwestern girl that studied biology, way back when, this was a dream come true. The goal of St. Augustine Eco Tours programs is to provide on-water interpretive experiences that focus on environmental education, conservation, and wildlife and habitat protection. They accomplished their goal with us; we have a newfound understanding of just how important the area is and enjoyed the chance to see it up close and personal! To learn more about this great group, log onto their website at http://www.staugustineecotours.com.